The BrahMos missile was successfully test fired from Indian Air Force’s (IAF) Sukhoi-30MKI fighter jet for the first time towards its intended target in the Bay of Bengal. It is the world’s fastest supersonic cruise missile. It was for first time that missile was successfully tested from fighter aircraft against sea-based target. It makes IAF first air force in world to have successfully fire air-launched 2.8 Mach surface attack missile of this category. Under its constitutional obligation under article 280(1) of the Constitution, Union Cabinet chaired by the Prime Minister Narendra Modi has approved setting up of 15th Finance Commission (FC). The recommendations of the 15th FC will cover five years commencing on April 1, 2020 and Terms of Reference will be notified in due course of time. 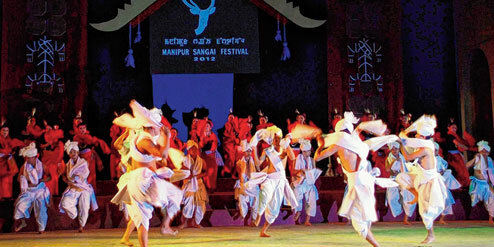 The annual Sangai Festival was celebrated in the northeastern state of Manipur. The festival showcases tourism potential of Manipur in field of arts & culture, handloom, handicrafts, indigenous sports, cuisine, music and adventure. It is grandest festival of the state to promote Manipur as a world class tourism destination. The Union Finance Ministry has constituted task force to review Income Tax (IT) Act 1961 and draft new direct tax law in consonance with current economic needs. CBDT member Arbind Modi will be convener of task force. Chief Economic Adviser Dr. Arvind Subramanian will be its permanent Special Invitee. The Union Cabinet has approved India’s Membership for European Bank for Reconstruction & Development (EBRD). Department of Economic Affairs, Ministry of Finance will take necessary steps to acquire the membership of the EBRD. India-Russia cooperation agreement in field of combating all forms of terrorism and organized crime has been approved by the Union Cabinet. The agreement is proposed to be signed during upcoming visit of Indian Delegation led by Home Minister Rajnath Singh to Russia in November, 2017. The first ever North East Development Summit (NEDS) 2017 was held in Imphal, Manipur. It was inaugurated by President of India Ram Nath Kovind. It was organised by Delhi-based think tank India Foundation in collaboration with Union Government and Manipur government.